Note: I'm accepting submissions for this page. Know of any good tidbits about The Shadow? Email me! Update: The Shadow in animation? Not really. The two clips below are actually from the 1998 French animated series Bob Morane. The "Shadow" that emerges from the smoke is actually an android henchbot working for the villain, and the man the android is attacking is actually one of the good guys! In the musical "Bye Bye Birdie", The Shadow and Lamont Cranston gets a brief mention in the lyrics. Lyrics for "The Shadow Knows"
Yes, believe it or not, there is a blues band called "The Lamont Cranston Band". Profile at Blues on Stage. 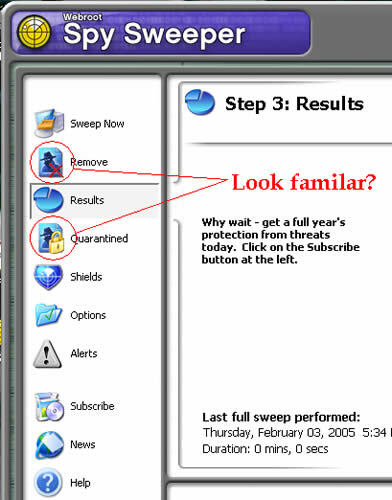 In Lavasoft's anti-spyware software, SpySweeper, the control panel along the left side features two buttons that show a figure in the background dressed in black with a wide-brimmed hat tilted down on one side. Sound familiar? /* Purpose: Only Lamont Cranston knows */. The block of code (50 or so instructions) had no obvious entrance, no exit and the program failed without it. In this card game, "Spy", you must send out your spies to deliver secret documents. Notice that the cover of the card game looks very similiar to the 1994 movie poster! Released in 1999, video game "Nocturne" featured a mysterious .45 automatic-wielding anti-hero clad in a fedora and a long trench coat that whipped in the wind like a cloak. Sound familiar? Reminiscent of The Shadow from the radio and comics, "The Stranger" fought the supernatural. The difference is, the game is set in the 1920s, The Stranger works for a secret government organization, and those .45s are laser-guided! In 1991, Nintendo released the game "Nightshade", featuring a "Shadowy-looking" vigilante who takes over the crime fighting when the city's protector is murdered. 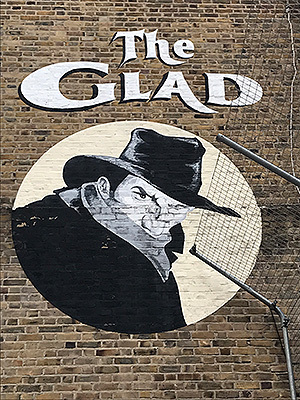 The 2015 game "Fallout 4" which takes place in the post-apocalyptic city of Boston features a Shadow-inspired fictional comic book character called The Silver Shroud. 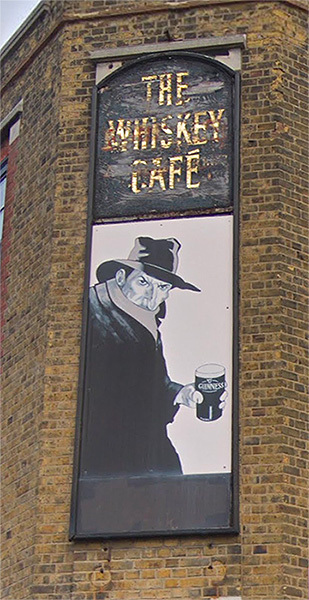 Like The Shadow, he wears a fedora and a scarf and fights crime in the city. In the game itself, the player can disguise him/herself as The Silver Shroud. Ever wished for a pulp hero video game? Pulp enthusiast Benton Grey has created a mod for the video game "Freedom Force" featuring over 20 pulp heros including The Shadow, Doc Savage, Zorro, The Spider, The Lone Ranger, The Phantom, and Miss Fury. You do need a copy of Freedom Force vs. The Third Reich to play the mod, but it is extremely cheap these days. You can buy it for five or six bucks on GOG.com and Steam, less when on sale, which happens often. It was designed for Windows XP, but it seems to work pretty well in Windows 8 and 10, though I suggest running the game in compatibility mode for Windows XP Service Pack 2. If you have the Steam version, running Steam itself in compatibility mode is also a good idea to avoid issues. If folks have any trouble getting the game to work or have questions about the mod, they can find help from the fantastic FF community, myself included, at our forum, Freedom Reborn. 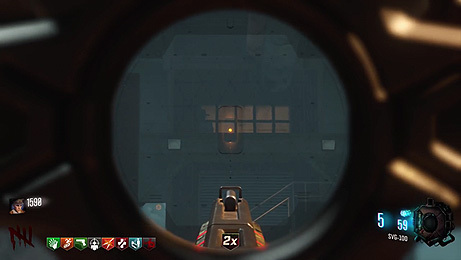 The standalone Zombies mode of Call of Duty: Black Ops III (released in 2015 by Treyarch) features a "Shadows of Evil" map on disk. The setting is in a fictional 1940s metropolis called "Morg City". 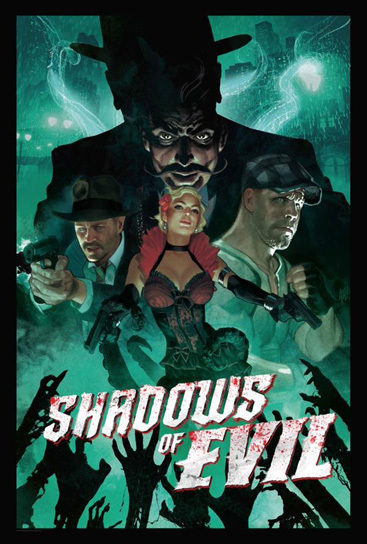 The poster for this game features a shadowy figure in a fedora called the "Shadow Man", who can appear and disappear at will. [Spoiler Alert!] 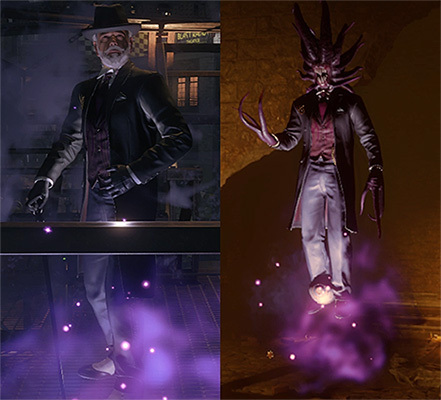 In the reveal, however, he turns out to be less Shadow-y and more of a Lovecraftian-like shapeshifter. The reveal trailer certainly had a familiar sound to it, however. "I have been watching. I have seen each and every one of your misdeeds...your sins serve only as an invitation. An invitation to an evil beyond your imagination. I will lead the way. I will show you the path. Only through me, the Shadow Man, will you find your redemption." Also interesting to note is the fact that the Black Ops Zombies series has also used the element of a one-night, repeated death time loop like the one in The Shadow radio episode, "The Man Who Murdered Time" (1939). One of the masterminds behind the game mode, Craig Houston, has a particular interest in time-anomalies, and has made countless references to Lost (TV Show) and other pop culture icons over the years. On an episode of Retro Replay, voice over artists Nolan North (video game franchise Uncharted, TV series Rick and Morty) and Troy Baker (video game God of War (2018), TV series Marvel's Avengers Assemble) have a conversation while playing a video game. At the 16 min mark, they discuss what kind of assassin they would like to be. Troy Baker says that he would like to be an assassin similar to The Shadow. There's also brief clip from the 1994 movie where The Shadow tells Roy Tam that he's saved his life and it now belongs to him. Check out the artwork on the Outlaw monster truck. 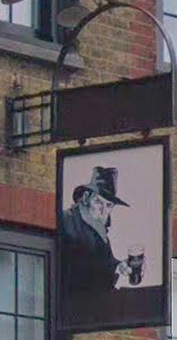 Looks more "Shadowy" than cowboy, don't you think? 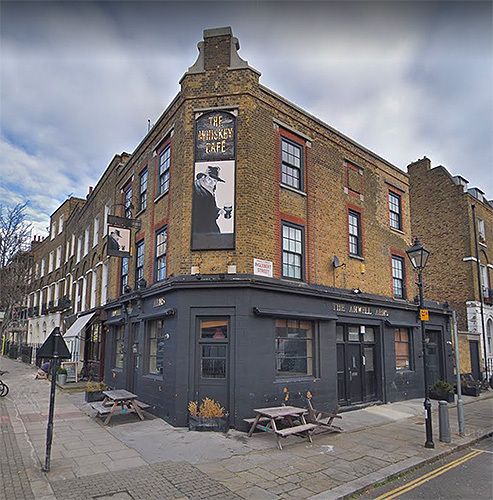 Nicknamed "The Glad", this former Victorian-era pub and famous music venue is located in Borough, London (to the south of the Thames River.) 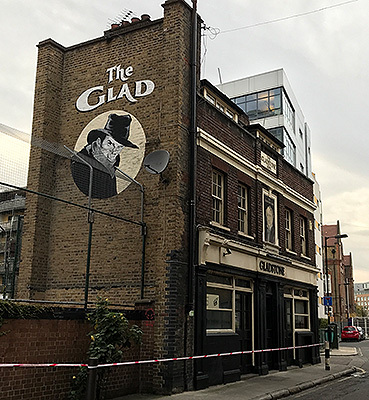 It featured a mural of The Shadow on one side of the building. 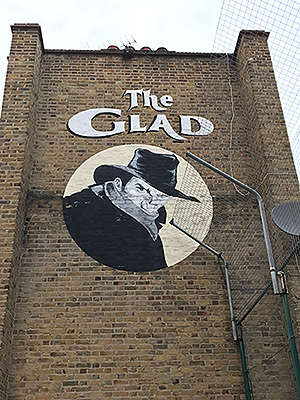 The owner/manager, Danny Gladstone, had no idea who The Shadow was when he chose this classic image of The Shadow by artist George Rozen. It just looked cool and he really liked it! 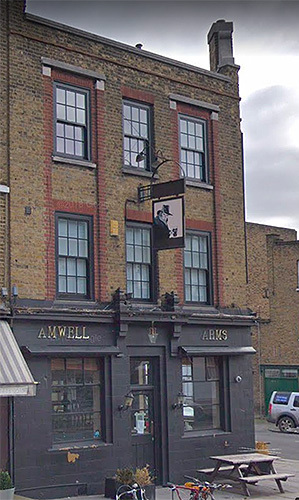 Sadly this pub was bought and closed down by property developers, and is recently slated for demolision. 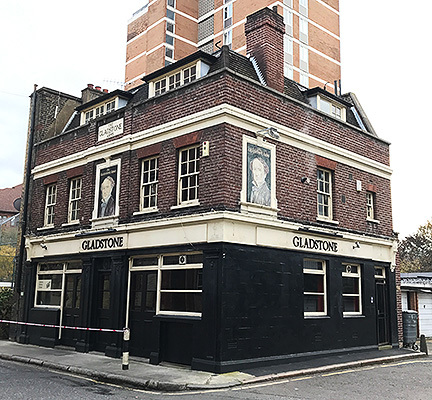 Located in Islington, London (north of the Thames River), this pub is also owned by the owner/manager of The Glad, so not surprisingly, The Shadow makes another appearance on the building's wall. 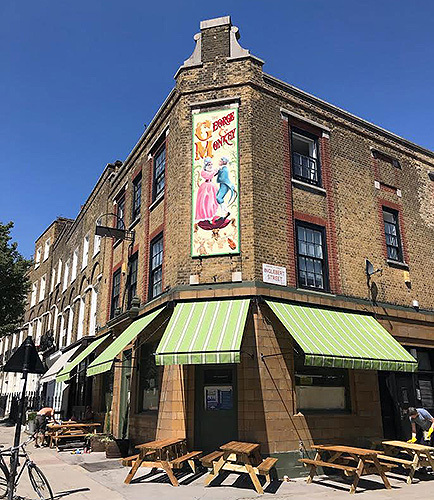 Unfortunately, like The Glad, this is now closed down, and will be replaced by a gastropub, "The George & Monkey" (you can barely see The Shadow mural on the pub's wall in the link to this article.) 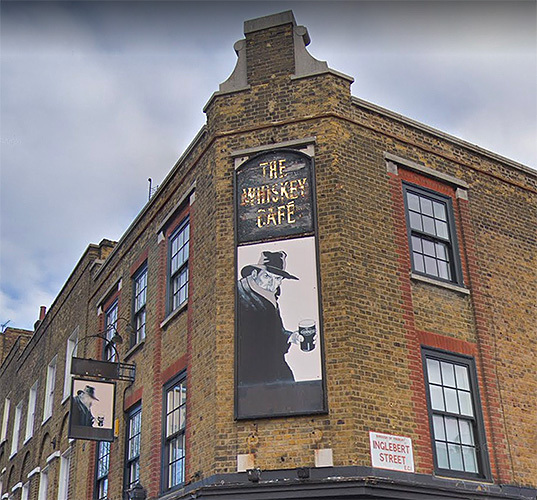 This is now the new signage.